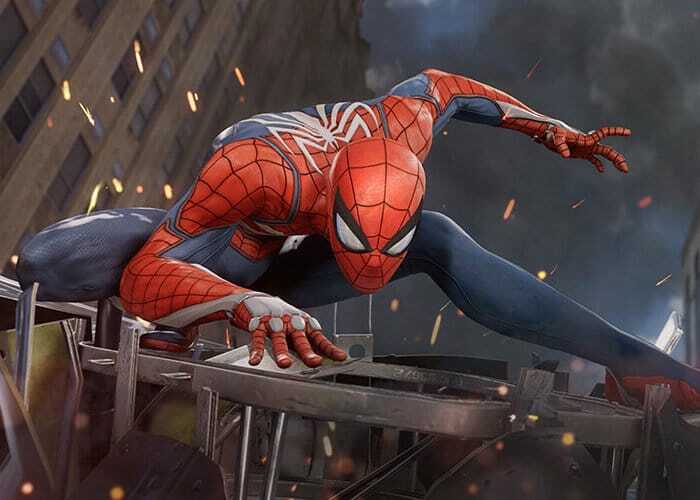 Spider-Man fans will be pleased to know that today Marvel and Insomniac Games have announced the new PlayStation 4 Spider-Man adventure will be launching exclusively on the PlayStation 4 on September 7th, 2018. Watch the announcement trailer below for a quick glimpse at what you can expect from the new Spider-Man game which is now available to preorder with extra gear available to those who do. By pre-ordering the 2018 Spider-Man game, players will have Instant in-game access to Spidey Suit Pack, early unlock of the Spider-Drone Gadget, five extra skill points, Spider-Man PSN Avatar and a Spider-Man PlayStation 4 theme. Unlike other games the new Spider-Man PS4 title will tell a new story of Spider-Man that is not based on a film, comic book or video game and will cover both Peter Parker and Spider-Man aspects of the character and will feature an “older and more experienced Spider-Man”. As you might have already guessed Spider-Man is an action-adventure game set in an open world. The game takes place in modern-day New York City and is played from a third-person perspective. During gameplay players have access Spider-Man’s abilities such as web slinging and wall-crawling as well as new gameplay elements. One of which will be the ability to traverse using parkour. Environmental combat, quick time events and stealth will also be featured in the game. For more information and to preorder your copy jump over to the official station store by following the link below.